New environmental hazards were discovered, which is of importance to protection of environment. The hazard of a two-level synergism of synecological summation of anthropogenic effects. (Lab of Physico- Chemistry of Biomembranes, Faculty of Biology, Moscow State University, Vorob’evy gory, Moscow, 119991 Russia). Journal: Doklady Biological Sciences, 2001; 380:499-501. The paper presented new facts, new fundamental concepts, new terminology in science of ecology. http://5bio5.blogspot.com/2014/07/rating-excellent-top-publications.html ;Discovery of a fundamentally new type of environmental hazards from chemical pollution. The hazard of a two-level synergism of synecological summation of anthropogenic effects. – Doklady Biological Sciences, 2001, Volume 380, Numbers 1-6, p. 499-501. Biodiversity protection and quality of water: the role of feedbacks in ecosystems. 42 downloads by 26.01.2015. Ranking of this article increased recently (ranking on the basis of altmetrics score of attention online). Ostroumov S. A. Biodiversity protection and quality of water: the role of feedbacks in ecosystems. – Doklady Biological Sciences. 2002. Volume 382, Numbers 1- 6, p. 18-21. ** NEW IDEAS: The article presents a new concept of how biodiversity helps towards better stability and water quality, in other words, how biodiversity is involved in the ecosystem services. The author made an innovative analysis of his experimental data which led to the following fundamental conclusion: to maintain water quality, it is vital to protect the functionally active biodiversity of water ecosystems. In other words, according to this article, the protection of functionally active, including filter-feeders, is a key to maintenance of water quality. ** NEW FACTS. Among new facts: the laundry detergent (exemplified by a common detergent IXI) 20 mg/L inhibited water filtration by bivalves, marine mussels Mytilus galloprovincialis; in another series of experiments, the laundry detergent (exemplified by the detergent Deni-Automat) 30 mg/L also inhibited the water filtration by another species of bivalve mollusks, namely, oyster Crassostrea gigas. On the biotic self-purification of aquatic ecosystems: elements of the theory. Article. One of key benefits from normal function of healthy aquatic ecosystems is the provisioning of clean water, in other words, maintaining proper water quality (which is a result of water self-purification in ecosystem). Until the time of publishing this article, no consistent and multi-faceted theory of water self-purification had existed. This article is the first publication to formulate such a theory that elucidates and integrates multiple roles of aquatic organisms involved, including not only microorganisms but also macroorganisms, e.g., higher plants and invertebrates. Both plankton and benthic organisms are involved and their roles were discovered and analyzed in this article. and some conclusions relevant to the practice of environment protection. In support of the theory, the results are given of the author’s experiments which demonstrated the ability of some pollutants (surfactants, detergents, and some others) to inhibit the water filtration activity of aquatic invertebrate filter-feeders, namely, the bivalve mollusks, including mussels (Mytilus galloprovincialis, Mytilus edulis), and oysters (Crassostrea gigas). Laboratory of Physico-Chemistry of Biomembranes, Faculty of Biology, Lomonosov Moscow State University, Vorob’evy gory, Moscow, 119991 Russia. Doklady Biological Sciences. 2004; 396:206-211. This fundamental and innovative article was cited and commented favorably by scientists in many countries. The paper was bookmarked by members of ResearchGate. This paper is on the short prestigious, honorable list ‘Top papers, books on aquatic ecology, ecotoxicology’ at the largest global catalog, WorldCatalog [source: http://5bio5.blogspot.com/2014/09/the-series-of-publications-on-list-of.html]. This paper has a double impact as it is in the journal that is being published in 2 languages. The reference to the Russian version: Doklady Akademii Nauk, V.396, No.1, 2004, p.136–141. Groups interested in: On the Biotic Self-purification of Aquatic Ecosystems: Elements of the Theory. Article: Imbalance of Factors Providing Control of Unicellular Plankton Populations Exposed to Anthropogenic Impact. Factors of regulation of unicellular plankton abundance (Tab.1); effects of surfactants and detergents on phytoplankton abundance (Tab.2); 7 detergents inhibit filtration of 3 species of marine and freshwater molluscs (Tab.3); Mytilus galloprovincialis eliminates from water the cells of Saccharomyces cerevisiae and algae Pavlova lutheri = M. lutheri as a result of filtration (comparing the 2 processes at the same time, Tab. 4). Author Sergei OstroumovPosted on January 10, 2015 January 10, 2015 Categories UncategorizedTags aquaculture, aquatic, aquatic_biota, bioeffects, control, Crassostrea, Crassostrea gigas, detergents, ecological_stability, ecosystem, ecosystems, environmental_safety, eutrophication_prevention, filter-feeders, galloprovincialis, gigas, lutheri, marine, Mytilus, Mytilus edulis, Mytilus galloprovincialis, pavlova, phytoplankton_control, plankton_populations, pollutants, pollution, quality, regulation, self-purification, Sergei A. Ostroumov, services, shampoo, suspension_feeders, sustainable_use, theory, tumidus, Unio, Unio tumidus, water, water_quality, аквакультура, гидробиология, качество воды, марикультура, моллюски, самоочищение, Сергей Андреевич ОстроумовLeave a comment on Article: Imbalance of Factors Providing Control of Unicellular Plankton Populations Exposed to Anthropogenic Impact. Inhibitory analysis of top-down control: new keys to studying eutrophication, algal blooms, and water self-purification. Review article: Inhibitory analysis of top-down control: new keys to studying eutrophication, algal blooms, and water self-purification. – Hydrobiologia. 2002. 469: 117-129. Most important online mentions. Abstract and content of the article. Citation of the article (selected examples). Feb 1, 2002 – Inhibitory analysis of top-down control: new keys to studying eutrophication, algal blooms, and water self-purification. S.A. Ostroumov … . S.A.Ostroumov. Inhibitory analysis of top-down control: new keys to studying eutrophication, algal blooms, and water self-purification // Hydrobiologia. 2002. Publication » Inhibitory analysis of top-down control: new keys to studying eutrophication, algal blooms, and water self-purification. We’re able to compare this article to 33 articles from the same journal and published within six weeks on either side of this one. This article has done very well, scoring higher than 90% of its contemporaries. In the 90%ile; Ranks 3rd. Older articles will score higher simply because they’ve had more time to accumulate mentions. To account for age we can compare this score to the 73,904 tracked articles that were published within six weeks on either side of this one in any journal. This article has done well, scoring higher than 82% of its contemporaries. Ostroumov S.A. Inhibitory analysis of top-down control: new keys to studying eutrophication, algal blooms, and water self-purification. – Hydrobiologia. 2002. 469: 117-129. Top-down control is an important type of interspecies interactions in food webs. It is especially important for aquatic ecosystems. Phytoplankton grazers contribute to the top-down control of phytoplankton populations. The paper is focused on the role of benthic filter feeders in the control of plankton populations as a result of water filtering and the removal of cells of plankton from the water column. New data on the inhibitory effects of surfactants and detergents on benthic filter-feeders (Unio tumidus, U. pictorum, Mytilus galloprovincialis, M. edulis, and Crassostrea gigas) are presented and discussed. Importance and efficiency of that approach to the problems of eutrophication and water self-purification is pointed out. Chemical pollution may pose a threat to the natural top-down control of phytoplankton and water self-purification process. The protection of that natural top-down control is considered an important prerequisite for sustainable use of aquatic resources. Chatzinikolaou Y. and Lazaridou M. Identification of the self-purification stretches of the Pinios River, Central Greece. – Mediterranean Marine Science, 2007, Vol. 8 (2), p. 19-32. GL Wei, ZF Yang, BS Cui, B. Li, H. Chen, JH Bai, S.K. Dong [GuoLiang Wei, ZhiFeng Yang, BaoShan Cui, Bing Li, He Chen, JunHong Bai and ShiKui Dong] Impact of Dam Construction on Water Quality and Water Self-Purification Capacity of the Lancang River, China. – Water Resour Manage (2009) 23:1763–1780. Samal, N. R.; Mazumdar, A.; Johnk, K. D.; Peeters, F. Assessment of ecosystem health of tropical shallow waterbodies in eastern India using turbulence model.-Aquatic Ecosystem Health & Management, Volume 12, Number 2, April 2009, pp. 215-225. Bhatti, Zafar. Lake and Reservoir Management. – Water Environment Research [Water Environ. Res.]. Oct 2004.Vol. 76, no. 6, pp. 2106-2154. By definition, the organisms of the two adjacent trophic levels interact with each other so that the organisms of the higher trophic level may produce some effect on the organisms of the lower trophic level. If the latter are not too abundant, the effects of the organisms of the higher level lead to limiting, decreasing or stabilizing the populations of the organisms of the lower trophic level. These effects might be considered a control or a partial control of the organisms of the lower trophic level. Many examples of interactions of that type were studied in various natural and experimental systems (Table 1). The significance of top-down control attributes additional importance to studies of the grazing activity of crustaceans (e.g., Sushchenya, 1975; Gutelmaher, 1986), rotifers (e.g., Monakov, 1998; Bul’on et al., 1999), protozoan plankton (e.g., Bul’on et al., 1999), and benthic invertebrates (e.g., Alimov, 1981; Donkin et al., 1989, 1991; Zaika, 1992; Ogilvie & Mitchell, 1995; Widdows et al., 1995a, Widdows et al., 1995b; Newell, 1999), and other invertebrates (Monakov, 1998). In aquatic ecosystems, the problem of the control of the organisms of the lower trophic level (algae) is of outstanding importance because it is relevant to the problem of eutrophication. Also, control mechanisms are important in better understanding the problem of algal blooms, including the toxic algae blooms. To avoid over-simplification, we should realize that there are many factors that regulate the abundance of algal populations; top-down control is only one of them. Many species of invertebrates of both plankton and benthos belong to the higher trophic level as compared with algae and cyanobacteria of phytoplankton. As for zooplankton species and their filter-feeding activity, an important body of information was presented and analyzed in (Sushchenya, 1975; Gutelmaher, 1986). Filtering activity of benthic species has also been studied (e.g., Alimov, 1981; Ostroumov et al., 1997, 1998). In this paper we focus on some species of invertebrates of benthos, which are filter-feeders and in this capacity contribute to the top-down control of phytoplankton. The diversity of benthic organisms that filter water and remove algal cell and other particulate matter is broad. Filter-feeders inhabit the bottom of both freshwater and marine ecosystems. To facilitate broader general conclusions, in this paper we will consider both freshwater and marine organisms. The range of filter-feeders includes sponges, polychaetes, molluscs, echinoderms, larvae of many insects, ascidians, and some other invertebrates. There are many examples of massive scale water filtering by benthos (e.g., Table 2; see also: Alimov, 1981; Ostroumov & Fedorov, 1999). It was shown that in some man-made reservoirs the total volume of water is filtered by benthic bivalves 2-24 times annually (e.g., Konstantinov, 1979). In a shallow lake in New Zealand the total volume is filtered during a time period of less than 2 days (Ogilvie & Mitchell, 1995). Equally massive filtering activity was discovered for the benthic sponges in the coastal waters of Lake Baikal which stores 22, 995 km3 of superb clean water (for comparison, the amount of the annual world consumption of freshwater was 3, 240 km3, and the annual freshwater withdrawal in Europe was 359 km3, in North and Central America 697 km3; the data for year 1987) (World Resources 1995-1995). As a result of water filtering, algal cells are removed from the water column. It is important that some filter-feeders (e.g., bivalves) remove more algae than they need for feeding purposes. Excessive amounts of algae biomass and other particulate matter are excreted in the form of pellets (to distinguish them from regular faeces they are called pseudofaeces) which are larger in size than the algal cells and therefore they settle to the bottom rapidly. The amount of pseudofaeces may exceed the amount of the assimilated food manyfold. As a result, the total activity of bivalve molluscs in removing algal biomass from the water column and in making water clearer is far beyond just the trophic needs of bivalves. The total weight of organic matter that is removed from a water column and deposited as bottom sediments is measured as high as kilograms per m2 per year. E.g., in the ecosystem of the man-made reservoir Volgogradskoe, the amount of the formerly suspended matter that was removed by molluscs from the water column and finally sedimented was 8.3 kg m-2 annually (Kondratiev, 1976; cited in Konstantinov, 1979). For the entire reservoir that is located in the center of the largest European river, the amount of sedimented matter was as high as 29 million tons. 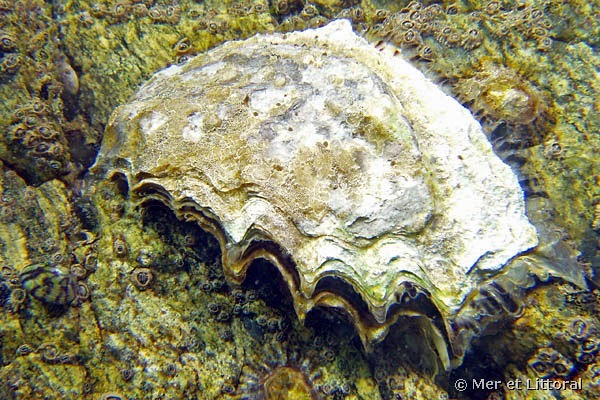 Man-made chemicals can produce strong inhibition of water filtering by benthic molluscs or impair the normal pattern of opening bivalves which is needed to maintain the efficient filtration of water. Some examples of those effects are given in Table 3. More examples could be found in literature (e.g., Stuijfzand, 1995; Ostroumov, 1998). The experiments were usually conducted using some phytoplankton species as the organism that is being removed from the water column during the filtration experiment. Thus, in experiments with bivalve Mytilus edulis, the algae Isochrysis galbana are often used (Donkin et al., 1997; Ostroumov et al., 1997; 1998). In our experiments with M. galloprovincialis (see below) we have observed a xenobiotic-induced decrease in grazing phytoplankton cells of Monochrysis lutheri and Dunaliella viridis. In our experiments with freshwater bivalves Unio tumidus and U. pictorum, we described some pollutant-induced inhibition of the removal of green algae Scenedesmus quadricauda and cyanobacteria Synechocystis. The major part of our experiments were done in the laboratory. Under field conditions, it was described that in polluted habitats the biomass and vitality of bivalves declined (Zaika, 1992), which means that their contribution to water filtering is negatively affected. It was possible to develop an integrative parameter, Scope for Growth (SFG) which enables the scientist to estimate the total amount of energy available for the population of mussels for its growth and reproduction (after deduction of the amount of energy is lost during respiration etc.) (Widdows et al., 1995a, 1995b). It was shown that in terms of the entire populations, in polluted habitats the reduced filtration and reduced intake of energy from digested plankton (and seston as a whole) led to the fact that SFG was reduced. We have initiated a systematic study of the effects of another class of aquatic pollutants, namely surfactants, on the water-filtering activity of bivalves and on the resulting removal of algal cells from the water column. Among the various organic chemicals that are entering the natural environment in large amounts (Yablokov & Ostroumov, 1983, 1985, 1991), surfactants play a significant role (Ostroumov, 1986; 1990; 1991; 1994 a; 1994b; Marcomini et al., 1988; Quiroga et al., 1989; Granmo et al, 1991; Fernandez et al., 199; Lewis, 1991; Takada & Ishiwatari, 1991; Chalaux et al., 1992; Terzic & Ahel, 1993). It was shown that surfactants produce negative and sometimes also stimulatory effects on cyanobacteria (Waterbury & Ostroumov, 1994), green algae (e.g., Goryunova & Ostroumov, 1986), diatoms (Ostroumov & Maertz-Wente, 1991), plant seedlings (Ostroumov, 1986; 1990; 1991; Nagel et al., 1987; Maximov et al., 1988; Telitchenko & Ostroumov, 1990), shrimp (Drewa et al., 1988), Daphnia magna and D. pulex (e.g., Maki & Bishop, 1979; Martinez et al., 1989), freshwater amphipods (Pantani et al., 1995), rotifers (Kartasheva & Ostroumov, 1998), fish (e.g., Versteeg & Shorter, 1992; Malcolm et al., 1995). Some data on the effects of linear alkylbenzene sulphonate (LAS) on Mytilus galloprovincialis Lmk (Bressan et al., 1989; Marin et al., 1993), Mytilus edulis (Granmo, 1972) and some other marine benthic species (Marin et al., 1991) are available. However, almost nothing was known about the effects of alkylsulfates, nonionic surfactants (derivatives of nonylphenols), and some other surfactants as well as detergents on the filtering activity of Mytilus edulis, M. galloprovincialis, Crassostrea gigas, Unio tumidus, and U. pictorum. The purpose of the experimental part of this work was to obtain data on the effects of some surfactants and surfactant-containing products including detergents, on the ability of bivalves (M. edulis, M. galloprovincialis, Unio tumidus, and U. pictorum) to filter water and remove algal or other cells from it. Freshwater mussels Unio sp. were collected in the Moscow River. Mytilus galloprovincialis were collected at the Black Sea. Crassostrea gigas were grown at a mariculture farm (the Black Sea, Institute of Biology of Southern Seas NANU). M. edulis were collected at the Exmouth estuary and kept in tanks with aeration , water flow and periodic automatic imitation of low tide (water was removed out of tanks for 3 h every day) (Dr. Donkin’s participation and help in the work with M. edulis is acknowledged). The temperature in experiments with M. galloprovincialis and C. gigas was mostly 22-27 C, in the experiments with Unio sp. 18-20 C. The cell removal and the cell density during the filtration by molluscs was measured using Hitachi 200-20 spectrophotometer (experiments with Unio sp.) and SF-26 (LOMO) spectrophotometer (experiments with M. galloprovincialis and C. gigas). In experiments with M. edulis (temperature 16 C), the number of cells per unit of volume was measured using the Coulter counter ( Coulter Electronics, model Industrial D). When a sample of filtered water without adding algae was used, the Coulter count was usually below 200.
where C1 and C2 are cell concentrations at the beginning and end of each time increment (e.g. 0.5 h). Statistical analysis was performed using EXCEL software. For linear regression analysis, an option was used which gives an opportunity to fix the intercept at a predetermined value. Several chemicals were used. Sodium dodecyl sulfate (SDS) (molecular mass 288.38) was purchased from Fluka. The purity was > 99% (assayed by GC, analysis number 332533/1 395). Triton X-100 (TX100) (x = 9-10 ethoxy units, H2O < 1 %, residue on ignition, 0.2%, analysis number 43306/1 795) was purchased also from Fluka. Tetradecyltrimethylammonium bromide (TDTMA, molecular mass 336.4) was purchased from Sigma (St.Louis, Missouri, 63178 USA; lot 55H1322). Detergents used were available commercially. Results of the experimentation were as following. Freshwater bivalves, Unio tumidus and U. pictorum removed planktonic cells from water. The ability to do so was inhibited by surfactants of several types (Table 4), including TDTMA, and TX100 . A marine species, M. galloprovincialis, was also efficient in removing from water cells of phytoplankton and unicellular organisms in general. Several surfactants as well as detergents which contain surfactants inhibited this ability of M. galloprovincialis (Table 4). The chemicals tested included surfactants TDTMA, SDS, and several detergents, such as Tide-Lemon, Lotos-Extra, Losk-Universal. In experiments with M. edulis, after one hour of filtering, in the control set (clean water) the number of algal cells per unit of volume decreased to almost 5.6% of the initial level, which is a good example of how efficiently bivalves can control planktonic populations (Table 5). This is in accord with the large amount of data on the significant filtration rates of bivalves (Alimov, 1981; Monakov, 1998) and their impact on ecosystems (Zaika, 1992). In the important series of measurements, in the control beakers (filtration of unpolluted water) the number of algal cells decreased by a factor of 15.98, while in the beakers with SDS (1 mg l–1) the number of cells decreased by a factor of 7.93. Thus, the algal cell density in control was half that in the system at the initial concentration of 1 mg l–1. The difference increased by the end of the experiment. When the initial concentration of SDS was 2 mg l–1, a substantial difference from the control set was observed after the first half-hour period (Table 6). After 65 min of filtering, the algal cell density in the control set was almost 1/3 that contained in the system with SDS. Further increase of the initial concentration of SDS up to 4 mg l–1 caused a dramatic 3-times increase of the cell density over that in the control set after only 35 min of filtering. In 65-min of filtering, the difference was 6-fold, and following 95-min filtering – over 14-fold. At the initial concentration of SDS 5 mg l–1, the difference between systems with and without SDS was over 16-fold after 125 min of filtering. It was possible to calculate the clearance rate (CR), using a standard formula widely accepted in the literature (Donkin et al. 1989; 1991; Widdows & Salkeld, 1993). 2) at any given concentration of SDS, the highest effect took place during the first 30-min period, with some decrease in the inhibitory effect by the end of the experiment. The latter trend, however, was not paralleled by a mitigation of the effect on the residual algal cell density in the water. When the cell density was considered, the difference from the control was maximal by the end of the experiment. Using another chemical, a non-ionic surfactant Triton X-100, we obtained similar data with EC50 close to that of SDS (Table 8). At a concentration of 4 mg l–1, the inhibition of the clearance rate during the time period of 30 min after the beginning of the experiment was almost 10-fold, and during the later period of time, the inhibition was about 5-fold. The data obtained in our study showed that the filtering activity of mussels demonstrated a more sensitive response than some other biotests we had used in our experiments in bioassaying SDS, including green algae (Goryunova & Ostroumov, 1986) and plant seedlings (Nagel et al., 1987). The filtering activity of mussels was also more sensitive to SDS than some of the traditional lethal biotests with aquatic invertebrates and fish which had been applied for studies of LAS and alkyl sulfates (Sivak et al., 1982; Ostroumov, 1991). It is noteworthy that the inhibitory effect of SDS on CR was developed within a rather narrow range of SDS concentrations (1 to 5 mg l–1). That could be in accord with a hypothesis that the decrease in CR is at least in part the result of a behavioural response of mussels. Our data on effects of SDS are in good agreement with the results obtained by other authors who studied effects of another anionic surfactant, linear alkylbenzene sulphonate (LAS) on filtering rate. It was shown that in experiments with exposure for 48 h and 96 h the filtration rate of mussels Mytilus galloprovincialis was reduced when concentration of dissolved LAS was higher than 1.5 mg l–1 (Bressan et al., 1989). In our experiments the biotest was slightly more sensitive as we exposed the animals to the surfactant for 1.5 h prior to beginning measurements and observed some inhibition at the initial concentration of 1 mg l–1. Bressan et al. (1989) studied also effects of LAS on the growth of mussels and on mortality and spermatozoids of freshwater bivalve molluscs. They observed some decrease in the increment of length of the major axis of the shell of mussels at concentrations of LAS as low as 0.25 and 0.5 mg l–1, but the effect required up to 70 days to be observed. No significant effects were found within 30 days of their experiments. The length of time that was necessary to reveal the effect was a limitation of the technique, however it was impressive to observe almost a 2-fold decrease in growth when the chronic experiment with a relatively low level of LAS (0.25 mg l–1 ) lasted for 160 days and more. In a parallel experiment the same authors observed a 30% increase in the respiration of LAS-treated (220 days, 0.25 mg l–1 ) young mussels (Bressan et al., 1989). Unfortunately, they did not specify what they called young mussels. Some decrease in filtering rate was observed in another set of experiments when the concentration of LAS was 0.25 mg l–1 , but the duration of the surfactant treatment was much longer (220 days) than in our experiment, and the size of mussels was again not specified (Bressan et al., 1989). Also, they have shown that, at a concentration of 1 mg l–1, LAS inhibited the filtration rate after 7 days of exposure. It seems important that in our experiments we observed effects after only 1.5 hours of exposure to the anionic surfactant. The LC50 (48 h) was about 40 mg l–1 and LC50 (96 h) was about 1.7 mg l–1 (Bressan et al., 1989), which was much lower than in the case of freshwater bivalves Anodonta cygnea and Unio elongatulus. For the latter two species, LC50 (96 h) was about 200 mg l–1 (Bressan et al, 1989). The mobility of spermatozoa of A. cygnea was almost completely inhibited at a concentration of LAS equal to 20 mg l–1. Measurements of CR were used to quantify the toxic effects of chemicals and to study QSAR (Donkin & Widdows, 1990) for various chemicals, including alkanes and phenyl alkanes (Donkin et al., 1991) as well as such aromatics as toluene, naphthalene, n-propylbenzene, 1-chloronaphthalene, biphenyl etc. (Donkin et al., 1989). Two xenobiotics, including an organotin compound, inhibited the fitration rate by Dressena polymorpha and Crenomytilus grayanus (Mitin, 1984). The filtering activity of not only bivalves, but also of other filter-feeders is vulnerable to the inhibition by surfactants. In experiments with rotifers Brachionus angularis Gosse, we have shown that TDTMA inhibited their filtration rate and the removal of cells of Chlorella sp. from the water (Kartasheva & Ostroumov, 1998). At a TDTMA concentration of 0.5 mg l–1, the average efficiency of filtration was 58.5% of that in control. However important these kinds of studies of CR are, it is also important to consider the general consequences of a decrease in the CR for the ecosystem. The role of the filtering activity of mussels is connected with their high population densities. It was estimated that at Narragansett Bay, Rhode Island, mussels represented about 77% (11 kg m -2) of the total community dry weight (Nixon et al., 1971), and numbers of the same order of magnitude were reported for other locations (Seed & Suchanek, 1992). Taking into account that, in our experiments, one mussel with a total wet weight about 8.5 g filtered over 1 L of water per hour, it is easy to estimate that, at high abundancy, a mussel community may filter over 100 L water per hour per 1 m2 of the sea bottom. A comparison of the tables for residual cell densities and CR for specific concentrations of surfactants shows that even a small decrease in CR produces a large difference in the residual cell density. The latter parameter may be considered as a model for any kind of particles which are being removed from the seawater by mussel filtering. In this way we may predict a huge decline in the natural ability of benthic communities to purify natural water when the water is polluted by surfactants as well as by other chemicals reducing the CR. Changes (inhibition) of the filtering activity of bivalves might have many consequences in changing many parameters and processes in ecosystems, which were considered in more detail in (Ostroumov et al., 1997; 1998; Ostroumov, 1998). Those considerations show that the inhibition of CR has consequences not limited by the prosperity of the mussel population, but that it is important for the state of the marine and estuarine ecosystems in much broader terms. Prospects of chemical-induced inhibition of water filtration by bivalves poses some ecological hazards in view of the role of bivalves in eutrophication control. The latter was studied in the case of the ecosystem of Chesapeake Bay (the Atlantic coast of the U.S.A.) (Newell et al., 1999). Analysis of the specific LC50 for Cladocera and various species of algae shows that in case of many pollutants Cladocera are more sensitive than algae. According to the data disseminated at the recent workshop in Netherlands (9-12 December 1999, Den Helder, TNO; participants of the research project: M. Scholten, R. Jak, B. Clement, E. Foekema, P.Hernandez, K.Kaag, H. van Dokkum, M. Smit), in the case of the following pesticides, species of Cladocera (mainly Daphnia magna, D. pulex, Ceriodaphnia dubia) are more sensitive: anilazin, benomyl, bentazon, cyfluthrin, dimethoat, lindan, maneb, zineb, and ziram. In case of several pesticides, it was directly shown that the inhibitory effects on feeding were observed at lower concentrations, than the concentrations which induced mortality. EC50 (effects on feeding within 4-24 h) were lower than LC50 (24-48 h) for endosulfan, diazinon, methyl parathion, lindan, and dichlobenil (according to the data distributed at the same workshop). In case of atrazine, a concentration of 1.6 mg l–1 within 10 min produced 50% reduction in feeding, which shows again that feeding activity is inhibited at concentrations lower than those inducing mortality: LC50 (48 h) was 9.88 mg l–1. Also, NOEC (No observable effect concentration) was the basis for comparing sensitivities of Cladocera and various species of algae to pesticides. In case of the following chemicals a higher sensitivity of Cladocera was found: azinfos-methyl, cyromazin, diazinon, dimethoat, endosulfan, fenpropathrin, malathion, mecoprop, propoxur, trifluralin, and some other pesticides. All these data as well as the new evidence in the experiments conducted at TNO during the project led by Dr. M. Scholten (see Table 1) are in accord with the concept that pollutants may impair top-down control of algae. This conclusion is analogous to the conclusion made by us on the basis of our data for benthic filter-feeders. Some benthic organisms, including spongi, polychets, bivalves, echinoderms, larvae of insects, ascidia and some others proved to be efficient organisms in filtering water and thereby in reducing the amount of particulate matter suspended in the water. Benthic filter-feeders remove from the surrounding water various suspended particles including algal cells. By doing so, they contribute to natural mechanisms that keep algal populations under some control. That type of top-down control under some circumstances might become especially important. The problem of algal blooms in the context of eutrophication is increasing attention to all mechanisms of control of algal populations including the control by virtue of water filtering by benthic filter-feeders, including bivalves. Some pollutants were shown to be efficient inhibitors that decrease water filtering and resulting grazing phytoplankton. Those chemicals produced a decrease in removal of algae from water column by bivalves. The author initiated systematic studies of effects of surfactants and detergents on filtering activity and removal of algae by freshwater and marine bivalves. Marine and freeshwater bivalves Mytilus edulis, M. galloprovincialis, and Unio sp. are efficient in removing unicellular organisms from water in result of their filtration activity. They are capable of drastically reducing the amount of cells of phytoplankton in water. This is an important mechanism contributing to natural control of algal populations in ecosystems. This regulatory mechanism is vulnerable to aquatic pollutants as exemplified by surfactants and detergents. New data are obtained and presented in this paper on how surfactants (anionic, non-ionic, and cationic ones) and surfactant-containing detergents inhibit the ability of marine and freshwater bivalves to remove cells of algae and cyanobacteria from water. On the basis of our new data, the final conclusion is that the new evidence support the views proposed in (Ostroumov, 1998; 1999; 2000c; 2000e) about the vulnerability of the filtration activity of invertebrates (both planktonic and benthic animals) to some pollutants, including surfactants. Our data and general conclusion are in accord with the idea that pollutants can induce reduction in grazing efficiency of benthic and planktonic invertebrates. We consider the studies of inhibitory effects of chemicals on fiter-feeders as an effective approach to elucidating the details of filter-feeding and associated removal of phytoplankton from the water column. The mechanisms and rates of plankton removal are of utmost importance for controlling levels of plankton which are the key parameters in processes of eutrophication and algal blooms. Water filtering activity of invertebrates is part of water self-purification in ecosystems. The self-purification of water is one of preconditions for the sustainable use of water resources. Therefore, the vulnerability of filter-feeders to aquatic pollutants (including surfactants and detergents) leads to a potential threat to the sustainable use of aquatic resources in situations when the ability of ecosystems to purify water is inhibited by pollutants. 1. Surfactants inhibit the filtering ability of marine and freshwater bivalves with a drastic effect on the amount of particulate material (modelled here by algal cells) left in the water. 2. When considering the environmental importance of surfactants and detergents (and of a broader range of xenobiotics and pollutants as well), the ramifications relevant to disturbance of the natural ability of the ecosystem to control phytoplankton populations should be taken into account. 3. Our new data are in accordance with the opinion (Ostroumov, 1990; 1991; 2000b; 2000c; 2000d; Telitchenko & Ostroumov, 1990; Yablokov & Ostroumov, 1991) that surfactants, if being discharged into the environment at substancial rates, might, under some circumstances and in some ecosystems, become more significant as environmental pollutants than it was thought before. 4. We make the prediction that many new examples are to be found of pollutants (both organic and inorganic) which inhibit filtration rate of filter-feeders (not only bivalves, but also other benthic and plankton organisms) and by doing so reduce the ability of invertebrates to control unicellular plankton populations. We predict that new examples are to be found of pollutants which inhibit the ability of invertebrates to control eutrophication. 5. Sustainable use of resources of aquatic ecosystems requires as an important pre-condition the efficient functioning of the ecosystems towards self-regulating and water self-purification. This pre-requisite includes normal functioning of top-down control exercised by the organisms at the higher levels of the trophic chains of ecosystems. 6. Studies of inhibitory effects of chemicals on the top-level organisms (e.g., grazers of plankton, including benthic filter-feeders) are a useful approach in obtaining information on the top-down control in trophic chains. Table 1. Top-down control in various natural and experimental systems (examples). Table 2. Water-filtering activity of benthic organisms in some ecosystems (examples). Table 3. Xenobiotics and contaminants that were shown to inhibit water-filtering activity of bivalves. Table 4. New data on the inhibitory effect of surfactants and products that contain surfactants on the filtration efficiency of bivalve molluscs. Table 5. Decrease in Isochrysis galbana cell density (per 0.5 ml) during filtering by Mytilus edulis in clean water (control beakers, A) and at 1 mg l–1 SDS (experimental beakers, B). Table 6. Effect of SDS (2 mg l–1) on the efficiency of water filtering measured as the number of cells of Isochrysis galbana (per 0.5 mL) in the water after the 30-min period of filtering by Mytilus edulis. Table 7. Inhibition (%) of the clearance rate (CR) of Isochrysis galbana during filtering by Mytilus edulis at various concentrations of SDS (after Ostroumov et al., 1998, with some changes). Table 8. Effect of Triton X-100 on the clearance rate during filtering algae Isochrysis galbana by mussels Mytilus edulis (after Ostroumov et al., 1998, with some changes). Alimov, A. F., 1981. Functional Ecology of Freshwater Bivalves (Funktzionalnaja Ekologija Presnovodnykh Dvustvorchatykh Molluskov). Nauka Press, Leningrad. 248 pp. Bressan, M., R. Brunetti, S. Casellato, G. C. Fava, P. Giro, M. Marin, P. Negrisolo, L. Tallandini, S. Thomann, L. Tosoni, M. Turchetto & G. C. Campesan, 1989. Effects of linear alkylbenzene sulfonate (LAS) on benthic organisms. Tenside Surfactants Detergents 26: 148-158. Bul’on, V. V., V. N. Nikulina, E. B. Pavelyeva, L. A. Stepanova & T. V. Khlebovich, 1999. Microbial “loop” in the trophic web of the lake plankton. J. Gener. Biol. (Zhurnal Obshchei Biologii) 60: 431-444. Chalaux, N., J. M. Bayona, M. I.Venkatesan & J. Albaiges, 1992. Distribution of surfactant markers in sediments from Santa Monica basin, Southern California. Mar. Pollut. Bulletin 24: 403-407. Donkin, P., J. Widdows, S. V. Evans, C. M. Worrall & M. Carr, 1989. Quantitative structure-activity relationships for the effect of hydrophobic organic chemicals on rate of feeding by mussels (Mytilis edulis). Aquat. Toxicol. 14: 277-294. Donkin, P., J. Widdows, S. V. Evans & M. D. Brinsley. 1991. QSARs for the sublethal responses of marine mussels (Mytilus edulis). Sci. Total Envir. 109/110: 461-476. Donkin, P., J. Widdows, S. V. Evans, F. Staff & T. Yan, 1997. Effects of neurotoxic pesticides on the feeding rate of marine mussels Mytilus edulis. Pestic. Sci. 49: 196-209. Drewa, G., Z. Zbytniewski & K. Palgan. 1988. Influence of an anionic detergent (alkylbenzene sulphonate) on enzymes, moulting cycle and survival in the shrimp Cragon cragon L. Kieler Meeresforsch. Sonderheft 6: 454-462. Fernandez, P., M. Valls, J. M. Bayona & J. Albaiges, 1991. Occurrence of cationic surfactants and related products in urban coastal environments. Envir. Sci. Technol. 25: 547-550. Gutelmaher, B. L., 1986. Metabolism of Plankton as the Whole (Metabolizm Planktona Kak Edinogo Tzelogo). Nauka, Leningrad. 156 pp. Goryunova, S. V. & S. A. Ostroumov, 1986. Effects of an anionic surfactant on green algae and seedlings of some angiosperms (Vozdejstvije anionnogo deterghenta na zelenuju vodorosl’ i prorostki nekotorykh pokrytosemennykh rastenij). Biological Sciences (Biologicheskie Nauki). 7: 84-86. Granmo, A., 1972. Development and growth of eggs and larvae of Mytilus edulis exposed to a linear dodecylbenzenesulphonate, LAS. Mar. Biol. 15: 356-358. Granmo, A., S. Kollberg, M. Berggren, R. Ekelund, K. Magnusson, L. Renberg & O. Wahlberg, 1991. Bioaccumulation of nonylphenol in caged mussels in an industrial coastal area of the Swedish coast. In: Angeletti, G. (ed.) Organic Micropollutants in the Aquatic Environment. Kluwer, Dordrecht: 71-79. Kartasheva, N. V. & S. A. Ostroumov, 1998. Tetradecyltrimethylammonium bromide (tetradetziltrimetilammonij bromid). Toxicological Bulletin (Toksikologicheskii Vestnik). 5: 30-32. Konstantinov, A. S., 1979. General Hydrobiology (Obshchaja Gidrobiologija). Vysshaya Shkola press, Moscow. 480 pp. Lewis, M. A, 1979. Chronic and sublethal toxicities of surfactants to aquatic animals: a review and risk assessment. Wat. Res. 25: 101-113. Maki, A. W. & W. E. Bishop, 1979. Acute toxicity studies of surfactants to Daphnia magna and Daphnia pulex. Arch. Envir. Contam. Toxicol. 8: 599-612. Malcolm, H. M., P. D. Howe & S. Dobson, 1995. Toxicity of LAS to aquatic organisms. Toxicol. & Ecotoxicol. News 2: 20-24. Marcomini, A., B. Pavoni, A. Sfriso & A. A. Orio, 1988. Aromatic surfactants in the marine environment: analysis and occurrence of LAS, NPEO and NP. United Nations Environmental Programme and World Health Organisation. Environmental contamination. 3rd International conference-Venice. CEP consultants. 94-98 p.
Marin, M. G., M. Bressan & R. Brunetti, 1991. Effects of linear alkylbenzene sulphonate (LAS) on two benthic marine organisms. Aquat. Toxicol. 19: 241-248. Marin, M. G., L. Pivotti, G. Campesan, M. Turchetto & L. Tallandini, 1993. Effects and fate of sediment-sorbed linear alkylbenzene sulphonate (LAS) on the bivalve mollusc Mytilus galloprovincialis Lmk. Wat. Res. 28: 85-90. Martinez, J., J. Vives-Rego & J. Sanchez-Leal, 1989. The effect of chemical structure and molecular weight of commercial alkylbenzenes on the toxic response of Daphnia and naturally occuring bacteria in fresh and seawater. Wat. Res. 23: 569-572. Maximov, V. N., H. Nagel & S. A. Ostroumov, 1988. Biotesting of waters polluted with the surfactant sulfonol and DNOC (Biotestirovanie vod, soderzhashchikh poverkhnostno-aktivnoje veshchestvo sulfonol and DNOK). Hydrobiological Journal (Gidrobiologicheskii Zhurnal) 24: 54-55. McHenery, J., G. Linley-Adams & D. Moore, 1991. Effects of dichlorvos exposure on the acetylcholinesterase levels of the gills of the mussel, Mytilus edulis L., experimental and field studies. Scottish Fisheries Working Paper, 16/91, The Scottish Office Agriculture and Fisheries Department, Aberdeen. Mitin, A., 1984. 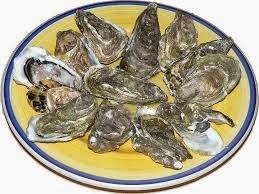 Effect of some environmental factors on the water-clearing activity of bivalves. Summary of Ph.D. Thesis, Moscow. 22 pp. Monakov, A. V., 1998. Feeding of Freshwater Invertebrates (Pitanie Presnovodnykh Bespozonochnykh). Institute of Ecological and Evolutionary Problems, Moscow. 320 pp. Nagel, H., S. A. Ostroumov & V. N. Maximov, 1987. Inhibition of growth of buckweat seedlings by sodium dodelyl sulfate (Inghibirovanije rosta prorostkov grechikhi pod vozdejstvijem dodecilsulfata natrija). Biological Sciences (Biologicheskie Nauki). 12: 81-84. Newell, R., J. Cornwell, M. Owens & J. Tuttle, 1999. Role of benthic suspension-feeders in maintaining estuarine water quality. ASLO 1999 Meeting (February 1-5, 1999, Santa Fe) Abstract Book. 130-131. Nixon, S. W., C. A. Oviatt, C. Rogers & K. Taylor, 1971. Mass and metabolism of a mussel bed. Oecologia (Berl.). 8: 21-30. Zealand lake, with reference to eutrophication control. Arch. Hydrobiol. 133(4): 471-482. Ostroumov, S. A., 1986. Introduction to Bio-Chemical Ecology. (Vvedenie v Biohimicheskuju Ekologiju). Moscow University Press, Moscow. 176 pp. Ostroumov, S. A., 1990. Some aspects of assessment of the biological activity of xenobiotics (Nekotorye aspekty otzenki biologicheskoi aktivnosti ksenobiotikov). Bulletin of Moscow University. Ser. 16. Biology (Vestnik Moskovskogo Universiteta. Ser. 16. Biologija). No.3: 74-78. Ostroumov, S. A., 1991. Biological activities of water polluted by surfactants (Biologhicheskaja aktivnost’ vod, soderzhashchikh poverkhnostno-aktivnyje veshchestva). Chemistry and Technology of Water (Khimija i Tekhnologija Vody). 13(3): 270-283. Ostroumov, S. A., 1994a. Ecotoxicology and biological activity of surfactants. Third European Conference on Ecotoxicology (Zurich, August 28-31, 1994). Abstracts. Abstract No. 6.26: 141. Ostroumov, S. A., 1994b. Some aspects of ecotoxicology and biochemical ecology of surfactants. Proceedings of the 6th International Congress of Ecology (21-26 August 1994, Manchester): 127. Ostroumov, S. A., 1998. Biological filtering and ecological machinery for self-purification and bioremediation in aquatic ecosystems: towards a holistic view. Rivista di Biologia/ Biology Forum. 91: 247-258. Ostroumov, S. A., 1999. The ability of mussels to filter and purify the sea water is inhibited by surfactants. ASLO 1999 Meeting (February 1-5, 1999, Santa Fe) Abstract Book: 134. Ostroumov, S. A., 2000a. Biological Effects of Surfactants in Connection with the Anthropogenic Impact on the Biosphere. MAX Press, Moscow. 116 pp. Ostroumov, S. A., 2000b. Criteria of ecological hazards due to anthropogenic effects on the biota: searching for a system (Kriterii ekologhicheskoj opastnosti antropoghennykh vozdejstvij na biotu: poiski sistemy). Doklady Biological Sciences 371: 204-206 (the Russian edition: Dokl. Akad. Nauk 371: 844-846). Ostroumov, S. A., 2000c. The concept of aquatic biota as a labile and vulnerable component of the water self-purification system (Kontzeptzija vodnoi bioty kak labil’nogo i ujazvimogo zvena sistemy samoochishchenija vody). Doklady Biological Sciences 372: 286-289 (the Russian edition: Dokl. Akad. Nauk 372: 279-282). Ostroumov, S. A., 2000d. Aquatic ecosystem: a large-scale diversified bioreactor with a water self-purification function (Vodnaja ekosistema: krupnorazmernyj diversifitzirovannyj bioreaktor s funktzijej samoochishchenija vody). Doklady Biological Sciences 374: 514-516 (the Russian edition: Dokl. Akad. Nauk 374: 427-429). Ostroumov, S. A., 2000e. Inhibitory analysis of regulatory interactions in trophic webs (Ingibitornyi analiz regulyatornykh vzaimodeistvii v troficheskikh setyah). Dokl. Akad. Nauk 375: 847-849. Ostroumov, S. A. & V. D. Fedorov, 1999. The main components of self-purification of ecosystems and its possible impairment as a result of chemical pollution (Osnovnyje komponenty samoochishchenija ekosistem i vozmozhnost’ ego narushenija v rezultate khimicheskogo zagrjaznenija). Bulletin of Moscow University. Ser. 16. Biology (Vestnik Moskovskogo Universiteta. Ser. 16. Biologija) 1: 24-32. Ostroumov, S. A., & M. Maertz-Wente, 1991. Effects of the non-ionic surfactant on marine diatoms. Papers presented at the 201st National Meeting of American Chemical Society, Atlanta, GA, April 14-19, 1991. 31 (1): 18-19. Ostroumov, S., P. Donkin & F. Staff, 1997. Inhibition by the anionic surfactant, sodium dodecyl sulphate, of the ability of mussels Mytilus edulis to filter and purify the sea water (Anionnoje poverkhnostno-aktivnoje veshchestvo inghibirujet sposobnost’ midij filtrovat’ i ochishchat’ morskuju vodu). Vestnik Moskovskogo Universiteta. Ser. 16. Biologija. (Bulletin of Moscow University. Ser. 16. Biology) No. 3: 30-36. Ostroumov, S. A., P. Donkin & F. Staff, 1998. Filtration inhibition induced by two classes of synthetic surfactants in the bivalve mollusc (Narushenije filtracii dvustvorchatymi molluskami pod vozdejstvijem poverkhnostno-aktivnykh veshchestv dvukh klassov). Dokl. Akad. Nauk 362: 574-576. Pantani, C., N. Spreti, M. C. Maggitti & R. Germani, 1995. Acute toxicity of some synthetic cationic and zwitterionic surfactants to freshwater amphipod Echinogammarus tibaldii. Bull. Envir. Contam. Toxicol. 55: 179-186. Quiroga, J. M., D. Sales & A. Gomez-Parra, 1989. Experimental evaluation of pollution potential of anionic surfactants in the marine environment. Wat. Res. 23: 801-807. Reinertsen, H., A. Jensen, J. Koksvik, A. Langeland & Y. Olsen, 1990. Effects of fish removal on the limnetic ecosystem of a eutrophic lake. Can. J. Fish. Aquat. Sci. 47: 166-173. Scholten, M., R. Jak, B. Clement, E. Foekema, P. Hernandez, K. Kaag, H. van Dokkum & M. Smit, personal communication. 1999. Seed, R. & T. H. Suchanek, 1992. Population and community ecology of Mytilus. In Gosling, E. (ed.) 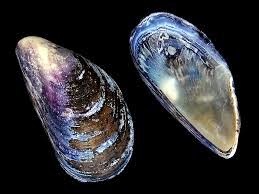 The Mussel Mytilus: Ecology, Physiology, Genetics and Culture. Elsevier, Amsterdam: 87-170. Sivak, A., M. Goyer, J. Permak & P. Thayer, 1982. Solution Behavior of Surfactants. Plenum Press, New York. 739 pp. Stuijfzand, S. C., M. H. S. Kraak, Y. A. Wink & C. Davids, 1995. Short-term effects of nickel on the filtration rate of the zebra mussel Dreissena polymorpha. Bull. envir. Contam. Toxicol. 54: 376-381. Sushchenya, L. M., 1975. Quantitative Trends in the Feeding of Crustaceans. Nauka I Tehnika Press, Minsk. 208 pp. Takadar, H. & R. Ishiwatari, 1991. Linear alkylbenzenes (LABs) in urban riverine and coastal sediments and their usefulness as a molecular indicator of domestic wastes. Water Science and Technology 23: 437-446. Telitchenko, M. M. & S. A. Ostroumov, 1990. Introduction to Problems of Biochemical Ecology (Vvedenie v Problemy Biochimicheskoi Ekologii). Nauka Press, Moscow. 288 pp. Terzic, S. & M. Ahel, 1993. Determination of linear alkylbenzene sulphonates in the Krka river estuary. Bull. Envir. Contam. Toxicol. 50: 241-246. Varanka, I., 1987. Effect of mosquito killer insecticides on freshwater mussels. Comp. Biochem. Physiol. 86C: 157-162. Versteeg, D. J. & S. J. Shorter, 1992. Effect of organic carbon on the uptake and toxicity of quarternary ammonium compounds to the fathead minnow, Pimephales promelas. Envir.Toxicol.Chem. 11: 571-580. Waterbury, J. & S. A. Ostroumov, 1994. Effect of a non-ionic surfactant on marine cyanobacteria (Deistvie neionogennogo poverkhnostno-aktivnogo veshchestva na tzianobakterii). Microbiology (Mikrobiologiya) 63: 259-263. Widdows, J., P. Donkin, S.V. Evans, D. S. Page & P. N. Salkeld, 1995a. Sublethal biological effects and chemical contaminant monitoring of Sullom Voe (Shetland) using mussels (Mytilus edulis). Proc. Roy. Soc. Edinb. 103B: 99-112. Widdows, J., P. Donkin, M. D. Brinsley, S. V. Evans, P. N. Salkeld, A. Franklin, R. J. Law & M. J. Waldock, 1995b. Scope for growth and contaminant levels in North Sea mussels Mytilus edulis. Mar. Ecol. Prog. Ser. 127: 131-148. Widdows, J. & D. Page, 1993. 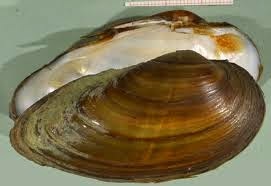 Effects of tributyltin and dibutyltin on the physiological energetics of the mussel, Mytilus edulis. Mar. Environ. Res. 35: 233-249. Widdows, J., & P. N. Salkeld, 1993. Practical procedures for the measurement of scope for growth. MAP Technical Report Series. UNEP, Athens. P. 71. pages 147-172. Wootton, J., 1992. Indirect effects, prey susceptibility, and habitat selection: impacts of birds on limpets and algae. Ecology 73: 981-991. World Resources 1995-1995. Oxford University Press, New York. 1994. 403 pp. Wurtsbaugh, W., 1992. Food-web modification by an invertebrate predator in the Great Salt Lake (USA). Oecologia 89: 168 -175. Yablokov, A. V. & S. A. Ostroumov, 1983. Nature Conservation: Problems and Prospects (Ohrana Zhivoi Prirody: Problemy i Perspectivy). Lesprom Press, Moscow. 271 pp. Yablokov, A. V. & S. A. Ostroumov, 1985. Levels of Living Nature Conservation (Urovni Ohrany Zhivoi Prirody). Nauka Press, Moscow. 176 pp. Yablokov, A. V. & S. A. Ostroumov, 1991. Conservation of Living Nature and Resources: Problems, Trends, Prospect. Springer Verlag, Berlin, Heidelberg, New York. 271 pp. Zaika, V. E., 1992. Long-term Changes in Zoobenthos of the Black Sea (Mnogoletnie Izmeneniya Zoobentosa Chernogo Morya). Naukova Dumka, Kiev. 247 pp. Volume 556, Number 1, 2006 (February). Volume 23, Number 9, 2009 (July). Water Environment Research [Water Environ. Res.]. Vol. 76, no. 6, pp. 2106-2154. Oct 2004. Author Sergei OstroumovPosted on January 8, 2015 January 24, 2015 Categories UncategorizedTags algal, algal blooms, alkylsulfates, anilazin, anthropogenic, aquaculture, aquatic, aquatic resources, ascidians, benomyl, bentazon, benthic, bioassay, biodiversity, biological effects, bivalves, blooms, Ceriodaphnia dubia, chemical pollution, Cladocera, Clearance Rate, Crassostrea gigas, cyfluthrin, Daphnia magna, Daphnia pulex, detergents, diazinon, dichlobenil, dimethoat, Dressena polymorpha, EC50, echinoderms, ecosystem services, ecosystems, ecotoxicants, ecotoxicology, endosulfan, environmental science, eutrophication, faeces, filter-feeders, freshwater, hazards, inhibitory effects on feeding, invertebrates, larvae of insects, LAS, LC50, lindan, linear alkylbenzene sulphonate, link.springer.com/article/10.1023A1015559123646, man-made effects, maneb, mariculture, marine, methyl parathion, molluscs, mortality, mussels, Mytilus edulis, Mytilus galloprovincialis, No observable effect consentration, NOEC, nonionic surfactants, nonylphenols, oysters, pellets, pesticides, phytoplankton, pollutants, pollution control, polychaetes, preventing, pseudofaeces, QSAR, quantitative structure - activity relationship, Scope for Growth, SDS, self-purification, Sergei A. Ostroumov, SFG, sodium dodecyl sulphate, sponges, sublethal effects, surfactants, suspended matter, sustainable use, TDTMA, tetradecyltrimethylammonium bromide, Triton X-100, TX100, U. pictorum, Unio tumidus, water quality, xenobiotics, zineb, ziram, гидробиология, Сергей АндреевичLeave a comment on Inhibitory analysis of top-down control: new keys to studying eutrophication, algal blooms, and water self-purification. Article: Inhibitory analysis of top-down control: new keys to studying eutrophication, algal blooms, and water self-purification. Ostroumov S.A. Inhibitory analysis of top-down control: new keys to studying eutrophication, algal blooms, and water self-purification. Hydrobiologia. 2002. vol. 469, pages 117-129.
http://www.scribd.com/doc/57034212/; Cited the paper: Inhibitory analysis of top-down control: new keys to studying eutrophication,… Hydrobiologia. Top-down control is an important type of interspecies interactions in food webs. It is especially important for aquatic ecosystems. Phytoplankton grazers contribute to the top-down control of phytoplankton populations. The paper is focused on the role of benthic filter-feeders in the control of plankton populations as a result of water filtering and the removal of cells of plankton from the water column. New data on the inhibitory effects of surfactants and detergents on benthic filter-feeders (freshwater mussels Unio tumidus, U. pictorum, marine mussels Mytilus galloprovincialis, M. edulis, and oysters Crassostrea gigas) are presented and discussed. Importance and efficiency of that approach to the problems of eutrophication and water self-purification is pointed out. Chemical pollution may pose a threat to the natural top-down control of phytoplankton and water self-purification process. The latter is considered an important prerequisite for sustainable use of aquatic resources. The first discovery of how negative effects of pollutants (surfactants) on invertebrate animals (filter-feeders) may lead to a change (increase) in abundance of plankton organisms in water; the first data on how the effects of polluting chemicals on invertebrate animals (filter-feeders) may produce an imbalance in the set of the factors controlling the populations of plankton. Abstract: the author suggests a new component of the measures against eutrophication: reducing the input of the pollutants that weaken the potential of the filter-feeders for removing algae. A new approach to combat eutrophication. Among new facts: the liquid detergent Fairy 2 mg/L inhibited filtration by bivalve filter-feeders mussels Mytilus galloprovincialis within 2-23 min after addition]. Environment Science, Ecology. New Facts in tables. Useful to who write papers, dissertations. Languages: Russian, partly in English. Большой объем новых фактов. Полезно научным сотрудникам, аспирантам при написании статей и диссертаций.